The police in Imo State have apprehended a 19-year-old serial burglary suspect, Chidiebere Okpara. He was arrested at Obodoukwu, Ideato North Local Government Area of the state by the operatives of Special Anti-Robbery Squad, Akokwa Annex, led by its commander, Banjoko Idahosa. 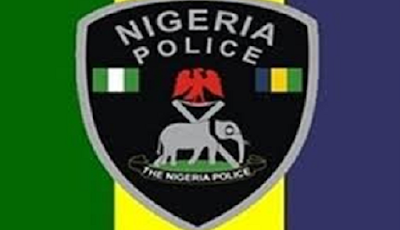 The police said the teenager and one Obinna, who is on the run, broke into people’s houses, stole their properties and sold them at giveaway prices. “The boy is a notorious burglar. Okpara and Obinna have been on our list for a long time now. They had a way of evading arrest. But this time, we were able to nab him while many of the stolen property have been recovered,” a police source said. Among the houses the suspect allegedly burgled was that of one Egeonu Nwachukwu in Obodoukwu where a plasma television, DVD multiplayer set, gas cooker with burner and 20 plates were stolen. Okpara and his gang also allegedly stole one standing fan, one generator valued at N75,000, one DVD, one gas cooker and burner, valued at N25,000. “The victim came back home and met his house empty. Everything in the house was carted away. The suspect would steal in the dead of the night when the owner of the house was not at home or around noon when people must have gone to work,” the police said. The teenager was said to have specialised in using pliers to open houses. The police said he would be taken to court for trial.